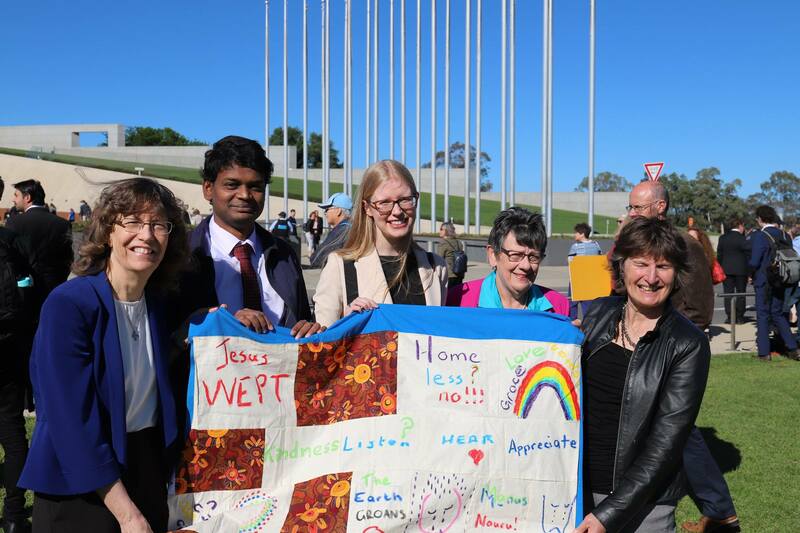 Uniting Church in Australia President Dr Deidre Palmer has joined faith leaders and advocacy groups in calling on the Australian Government not to step away from the Global Compact on Migration (GCM). Prime Minister Scott Morrison has indicated Australia would not sign on to the agreement which aims to address migration issues in a “safe, orderly and regular” way by improving co-operation between countries. All countries in the Asia-Pacific region will be signatories with the exception of Australia. The Uniting Church in Australia Assembly is one of 34 organisations signed on to a letter asking the Government to reconsider. Dr Palmer said the Government’s decision to back away from the agreement was out of step with the rest of the world. The GCM will be adopted by over 180 UN member states at an intergovernmental conference in Marrakech, Morocco on the 10-11 December. Jesuit Refugee Service (JRS) Australia’s Director Carolina Gottardo, who was present at various consultations and negotiations for the Compact, said no country could address migration on its own. “Adopting the Global Compact on Migration is the right thing to do if we want to fulfil our humanitarian obligations and improve our cooperation with states in the Asia Pacific region and beyond,” Carolina said. Other signatories include the Refugee Council of Australia (RCOA), the Federation of Ethnic Community Councils of Australia (FECCA) and the Australian Council of Social Service (ACOSS).